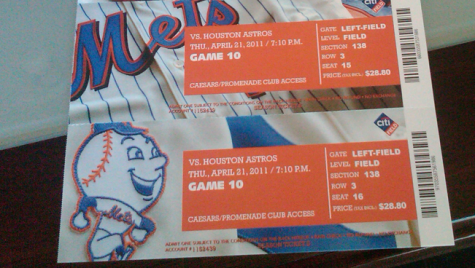 Metsblog Photo: What 2011 New York Mets tickets look like? Wow. Big change from seasons past. I like it. In talking with people close to the team, Orange will be their dominant marketing color this year. Last season it was Blue. This year: Orange. I’m not sure what that means, actually, but I guess it means featuring it on tickets, as well as other marketing and promotional materials. Thank you to Chris B for sending in this photo, after getting his season tickets. Georgia Tech has picked Dayton coach Brian Gregory to rebuild its beleaguered basketball program, which fell on hard times after reaching the national championship game in 2004. Dayton senior associate athletic director Dave Harper said Monday that Gregory was leaving to take the Georgia Tech job. He told his players at a 7:30 a.m. meeting. “He has informed the school and met with the team,” Harper told The Associated Press. Georgia Tech officials would not comment, pending official approval of Gregory’s contract. The school was preparing to hold a late afternoon news conference to announce the replacement for Paul Hewitt, who was fired shortly after his fourth losing season in six years. The 44-year-old Gregory had coached at Dayton for eight seasons, posting a record of 172-94. He guided the Flyers to a pair of NCAA appearances, reaching the second round in 2009 with an upset of West Virginia. Dayton also won the NIT in 2010, beating North Carolina in the championship game. Dayton had only one losing season under Gregory and won at least 20 games five times. But the team is coming off a disappointing season, going 7-9 in the Atlantic 10 and 22-14 overall. The Flyers failed to reach the NCAA tournament for the second year in a row, losing to Richmond in the final of the A-10 tournament. 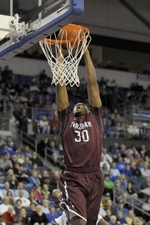 They settled for a bid to the NIT and were defeated by the College of Charleston 94-84 in the opening round. The team is losing senior star Chris Wright and recently announced freshmen guards Juwan Staten and Brandon Spearman were transferring. At Georgia Tech, Gregory takes over a program that came within one win of a national title in 2004 but fell on hard times in recent years under Hewitt. The Yellow Jackets were 13-18 this season and 11th in the Atlantic Coast Conference at 5-11. Hewitt was fired two days after the season ended with another ugly loss, 59-43 to Virginia Tech in the opening round of the ACC tournament. Making the rebuilding job more difficult for Gregory: Georgia Tech won’t have a true home arena his first season. The school is building a new campus arena on the site of Alexander Memorial Coliseum. Until it opens in 2012, the Yellow Jackets will split home games between downtown Philips Arena and suburban Gwinnett Arena. Georgia Tech athletic director Dan Radakovich said last week he hoped to have a new coach hired before the Final Four. There had been speculation the Yellow Jackets would pursue one of the coaches who made a splash in this year’s NCAA tournament, such as Richmond’s Chris Mooney or VCU’s Shaka Smart. But Mooney signed a 10-year contract extension with the Spiders on Sunday night after leading them to the round of 16. Smart’s team is still alive in the NCAA tournament, reaching the Final Four for the first time. So the job goes to Gregory, who takes over a program that has plenty of built-in advantages: a rich tradition, ACC membership and a large city that should be attractive to recruits. One of his top priorities will be re-energizing the fan base. As the losing seasons piled up, home attendance dipped dramatically. 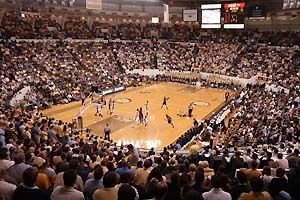 The Yellow Jackets failed to sell out any games this season at the 9,100-seat arena, averaging just 6,095 per contest. The empty seats hurt Hewitt’s hopes of remaining on the job, even though the school owes him a $7.2 million buyout over the next five years as part of a lucrative contract he signed after the Final Four season. “Certainly the atmosphere around the arena, the lack of fan support was certainly something that played into the decision,” Radakovich said at Hewitt’s firing. 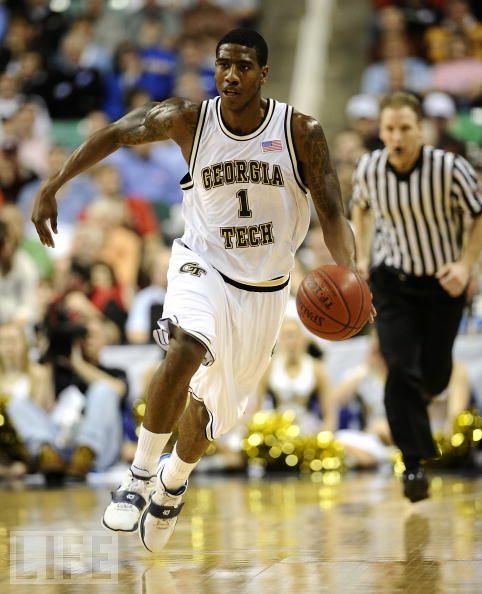 Georgia Tech made five NCAA tournament appearances under Hewitt but managed only one winning season in the ACC — 9-7 during the Final Four year. 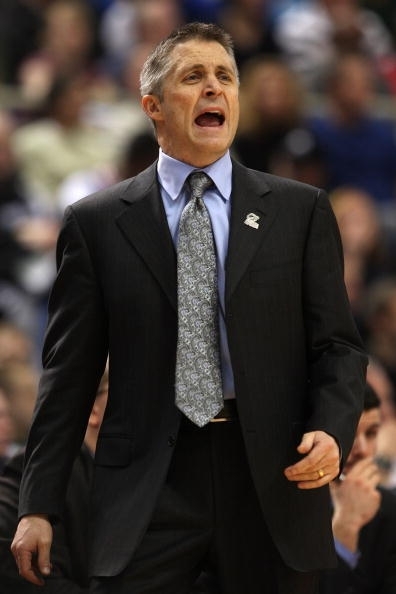 His overall mark of 190-162 included a dismal 72-104 record in conference play. The Yellow Jackets’ lone tournament appearance of the last four years was a one-and-done in 2010 with a team that included future NBA players Derrick Favors and Gani Lawal. Georgia Tech loses only two players off this season’s team, assuming everyone stays. One of Gregory’s first calls is likely to be to leading scorer Iman Shumpert, a junior who said Hewitt’s firing might have an impact on his future plans. Shumpert, who averaged 17.3 points a game, could be a candidate to enter the NBA draft. Memphis Grizzlies forward Rudy Gay needs surgery on his injured left shoulder and will miss the rest of the season.The Grizzlies announced Tuesday the team’s physician Fred Azar and orthopedic surgeon James Andrews have recommended surgery for Gay’s partially dislocated shoulder. Gay has missed the past 14 games since suffering the injury on Feb. 15 against Philadelphia. 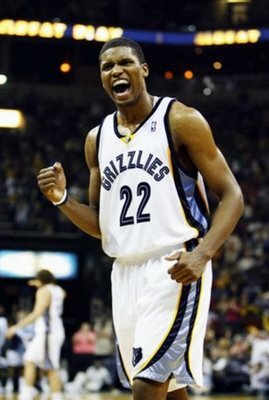 The Grizzlies are 8-6 in his absence and remain in contention for a playoff spot in the Western Conference. Memphis is trying to reach the postseason for the first time since the 2005-2006 season. Entering Tuesday’s games the Grizzlies were two games ahead of the Houston Rockets for the eighth and final playoff berth in the West. 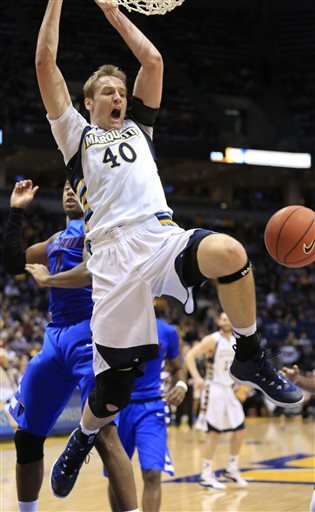 The 6-foot-8 Gay averaged 19.8 points per game and 6.2 rebounds per game this season. The five-year veteran out of Connecticut has been a reliable scorer late in games for the Grizzlies, hitting several important shots. Gay, 24, hit a tie-breaking jump shot with less than a second to play in a Jan. 24 victory against Toronto, and his basket over LeBron James gave the Grizzlies a win at home against the Miami Heat on Nov. 20. Gay signed a five-year, $82 million contract this past offseason. The team said surgery has always been a possibility in the event that rehabilitation was unsuccessful. The date of the surgery has not been set. Gay is expected to be ready for the start of next season. The Grizzlies play at Boston tonight. …This hurts Grizzlies fans that one of their best playmaker and scorers cannot comeback from this injury and help them in the playoff chase and maybe even the first round of the playoffs. He has been a leader on this team for many years especially signing the big extension this past summer. His replacements of Tony Allen, Sam Young, and Darrell Arthur have been playing excellent as of late and are thriving in his absence. In March Tony Allen is averaging 13 points a game as long as shooting 53% from the floor. I really think this younger bunch will bring tons of defensive intensity with Shane Battier the defensive specialist and it will take them into the playoffs. His leadership will be missed but I think this young and talented Grizzlies team has found out a way to win without him and have been his number one supporters. Video of today at the Al McGuire Center where the Marquette basketball players loaded the bus and traveled to Newark, New jersey to take on the University of North Carolina Tar Heels. It was reasonable to give Carmelo Anthony time to adjust after his trade to the Knicks, but he gets no hall pass for the “Wait ‘Til Next Year” remarks he uttered after Sunday’s galling loss to the Milwaukee Bucks. Concession speeches with 13 games left in the regular season, and the playoffs after that, aren’t the sort of thing a franchise player like Anthony is supposed to say a mere month after his arrival or before the season’s last breath. 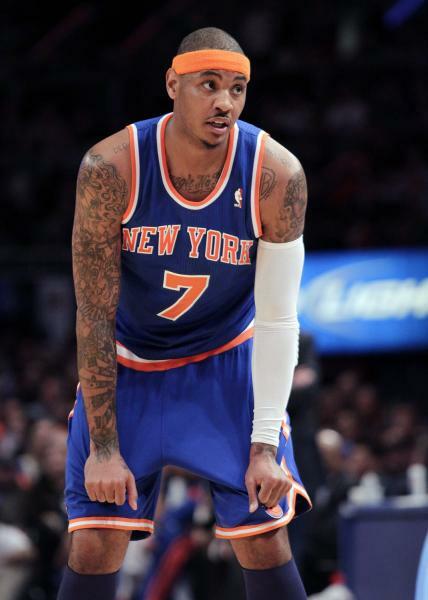 If Chicago, Boston or Miami ends the Knicks’ season sometime next month, fine. But such thoughts shouldn’t be rolling out of Anthony’s mouth just because of a tough little stretch in late March. Real superstars find a way. Anthony’s comments make you realize the Knicks were better off when they were Amare Stoudemire‘s team. Stoudemire was their unquestioned leader and set the tone. They’d be smart to go back to acknowledging that. Now. The Knicks still can win with Anthony and without the four players they sent away in the blockbuster deal that landed him and Chauncey Billups four weeks ago. But the exemplary way Stoudemire has embraced a leadership role in New York no matter who was playing here makes him the best, most intelligent voice the Knicks have had all season in the locker room. 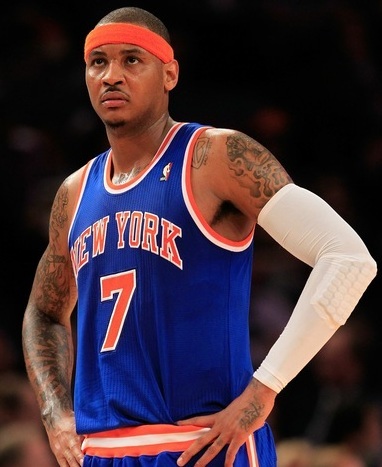 And all the Knicks — Melo included — should go back to falling in behind Stoudemire. The Knicks are 7-9 since Anthony arrived, with the Boston Celtics coming to Madison Square Garden on Monday night and the Orlando Magic arriving Wednesday. After a month of watching Stoudemire recede into the background since the trade and utter hardly a peep unless he was spoken to first — the better to give Anthony room? 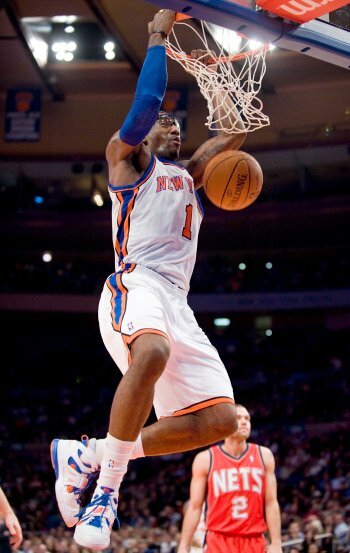 — Stoudemire had finally seen enough after Friday’s irritating loss to the lowly Detroit Pistons. There’s no need to dance around about whether what Stoudemire told reporters “seemed” like an honest-to-God upbraid to Anthony — he was speaking directly to Anthony, all right. And now we’ll see whether Anthony finally gets the message, because it’s the same point Knicks coach Mike D’Antoni had obliquely made days earlier and a kinder version of a rap that Anthony’s ex-Nuggets teammates have laid at Anthony’s feet since he left: With him, the ball isn’t flowing enough in the Knicks’ offense. So Anthony gets his 25 points, all right, but he can often make his own team easier to defend — and beat. Remember when Stoudemire hit town after signing his max free-agent contract and promptly announced, “The Knicks are back”? Skeptics snickered at Stoudemire’s enthusiasm and dryly said that it was cute but that he’ll learn, he’s not from around here, you know, so he doesn’t know the details of the Knicks’ awful recent history. But as entrances go, Stoudemire’s splashdown in New York looks light-years better and more self-assured than Anthony’s bolt for the team bus Friday after a 2-for-12 shooting night in Detroit, then his concession speech Sunday after the Knicks’ latest loss to the Milwaukee Bucks. Anthony has shown a little fraying at the seams in the past week to 10 days. He’s questioned the Knicks coaching staff’s failure to adjust the team’s defense against the Indiana Pacers‘ Tyler Hansbrough (an idea that D’Antoni disputed). He wondered why he didn’t get to take a last shot at the end of another game. Then he went beyond the acknowledged flaws the Knicks’ roster has to suggest it’s nothing they’ll be able to overcome this season while the Nuggets became one of the hottest teams in the NBA without him. Meanwhile, Stoudemire embraced a leadership role from the start and hasn’t let go. He’s been thoughtful and measured when he’s needed to be, assertive when he’s thought that teammates were slacking off, committed to making the entire team better without worrying about blame, and supportive of D’Antoni and/or his system when others have taken shots at the Knicks’ coach. Comparing the records of the Knicks and Nuggets (who are 9-4 during the stretch) in the short term is a fun little diversion for people who enjoy seeing Anthony get some comeuppance for forcing the trade. Rather than the small 15-game sample everyone had to rate the trade, this fact should worry Knicks fans more: The Nuggets keep saying it wasn’t so much that Anthony can’t play any other way — it’s that he won’t. Is the difference between Can’t and Won’t affecting how well the Knicks’ and D’Antoni’s system works now? Those measly nine points they scored in the first quarter against Milwaukee? This past weekend, it was great to see Stoudemire make a vocal comeback even as Anthony balked and bailed. 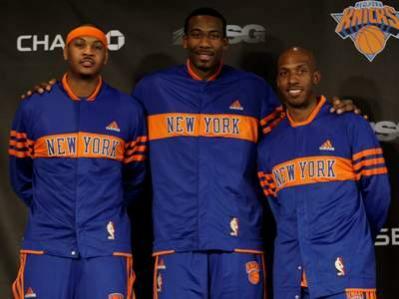 The simple truth is, the Knicks are better when they see themselves as Stoudemire’s team. The words no Knicks fan wanted to hear came out of Carmelo Anthony‘s mouth during the last sentence he uttered Sunday afternoon before exiting into the cold, rainy grayness that ushered in the first day of spring in Wisconsin. “It might take [until] next season,” Anthony said after the Knicks had their lowest-scoring quarter of the season — putting just nine points on the scoreboard over the first 12 minutes — in a 100-95 loss to the Milwaukee Bucks that wrapped up what can best be called a lost weekend. After noting that the core of the team has been together for only three weeks, Anthony was asked how close the team is to being on the same page. So there you have it, 15 games into the new era that began with an atmosphere of euphoria, the timeline for achieving success has been publicly adjusted by the player who is expected to take the Knicks to the next level. With the Knicks already knowing that they are headed to the playoffs — something they’ve known since the day the big trade went down — the urgency that would come with fighting for a playoff spot is just not present. And as a result, the Knicks are not only unpredictable and inconsistent, they are flat. If you ever wanted to see flatness manifest itself into a 12-minute window into the soul (or lack thereof) of a team, you’d need to look no further than the first quarter of this game. The Knicks weren’t sloppy in that first period, committing just one turnover. They weren’t passive, outrebounding Milwaukee on the offensive boards 3-1. They just looked bad, missing 21 of 25 shots as they fell behind by 23 points to create a deep hole they had to spend the rest of the day digging out of. Dig out they did, getting themselves back in contention before halftime and twice pulling within one point in the third quarter. 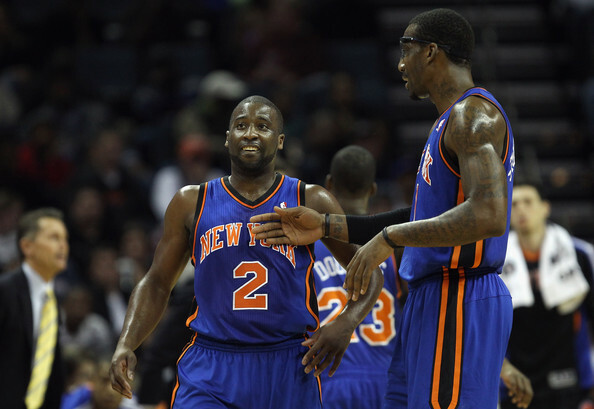 Wilson Chandler and Raymond Felton are 10-4 since being traded to Denver. But again they couldn’t get the stops they needed down the stretch (the Bucks scored on eight of their final nine possessions), again a referee’s discretion did not help them (Anthony was called for an offensive foul on a jump shot with 4:06 remaining, two days after he failed to get a whistle when Chris Wilcox of the Pistons appeared to foul him on a last-minute shot), and again they played down to the level of their opponent in dropping to 7-8 since the trade, remaining in seventh place in the East as they head into their first post-trade matchup with the Boston Celtics on Monday night at Madison Square Garden. Chemistry is an issue. Cohesiveness is an issue. The center spot is a major issue, and the lack of any kind of reliable depth is an issue, too. And then there is the issue of whether Anthony is refusing to buy into coach Mike D’Antoni’s offensive system, something Amare Stoudemire signaled was happening after Friday night’s loss at Detroit when Anthony bolted from the locker room and headed straight for the team bus without saying anything about his 0-for-5 fourth quarter and his 6-point performance. The system produced three 20-point performances as Stoudemire scored 25, Anthony had 23 and Billups 21 before he fouled out, but the pace of play was again slower than the speed D’Antoni would prefer, and the inability to get a stop down the stretch was another chapter of a recurring theme. And what exactly was D’Antoni’s “it”? The “it” he’s certain they’re going to get done? That about sums it up, and that is not the type of summation the Knicks wanted to have when they had a 15-game body of work behind them. As Anthony said, it may take until next season. That is not what he was saying when he arrived, but circumstances have forced him to temper his expectations. At this point, merely playing a competitive series in the first round of the playoffs may be as good as it gets for these Knicks. But the possibility of it getting worse cannot be discounted, either. The final 13 games of the season will be telling.